Good New Everybody! The meeting on the 23rd went over very well as a decent amount of membership were in attendance. As the report will show the membership present have voted and agreed to “Hibernate” the selling beer bust at the Chain Drive until March 2012. What this means is that it gives Chain Drive some time to recoup their funds as well as gives HOTB some time to support our Bigger Brothers within the Texas Region. Yet be aware the “Social Draught” at Iron Bear are still in effect, the 3rd Sunday of the month. Henceforth, we have put forth an idea of a double treat for those 1st Sundays til march. Which is road trip to visit Dallas Bears, Houston Area Bears, Trinity River Bears and San Antonio Bears for their respective busts in their areas also we have agreed to create for those who do not wish to travel a Movie Day on those days, which means it gives everyone another chance to go out and about with the membership and see some new and upcoming movies in our area. Next I’d like to address the issue of some not receiving their renewals and or their new membership cards and pins. There has been a slight hiccup with the programs that are used to inform our Secretary of expired and those new members. 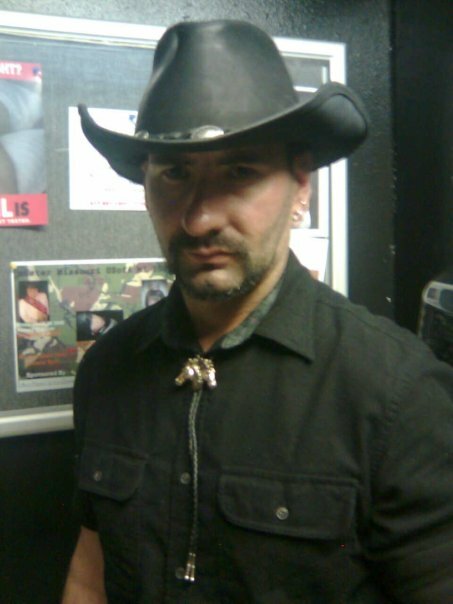 It was informing Aldo that certain people were not members at all, including himself. The problem has since been repaired and all should be receiving their info soon. Aldo does apologize for the hiccup but we all know how software and computers can do what they want to do. So everyone give the GreyBear a big hug when ya see him. Other than that, its still going to be a packed few months even with the hibernation of Beer Busts at the Drive. Novem”bear” has a few ideals in it, Kelly is tossing the ideal of Bears Bowling that month. We still have the to breakfasts as well as the Bears Night Out. Plus I hope everyone will have a safe and sane Thanksgiving, and feed with imagination and come home full. Decem”bear” is also going to be chocked with events as well. With the annual Christmas Party. Information to come further about that. That’s all for now My Bears, enjoy Your HallowBear weekend at Chain Drive or the Iron Bear, both will have some exciting things happen on the 29th. See Ya’ll out and about. Here we are licking our paws after Back To The Woods 7 and a big high-five to Kelly for coordinating this year and Vincent for coordinating the show. If any of ya’ll missed us at the TCC Landsite this year, you missed one heck of a time! This was definitely a “Once Upon A Time,,,,” to remember. Also a big bear hug to all who volunteered with cooking, trash and cleanup the whole weekend. From what I can gather is that next year for B2W8 is gonna be just as a memory that all the previous have been. Just a heads up for this month, the month of October. This Sunday, the 23rd, we shall be having our quarterly meeting at Cafe Express on Lamar in downtown Austin. After the meeting we shall have the planning meeting for the next 2-3 months. At this time i would ask any and all people who have thoughts to be in attendance since this is a MEMBERSHIP organization. Your thoughts, ideals and concerns are to be listened to and acted upon with diligence and respect. Don’t forget our Busts happening twice a month here in the good ol ATX. One is at Chain Drive on the 1st Sunday of the month and the 3rd Saturday we growl on over to the Iron Bear for Social Draught. We’ve also got some movie nights happening as well, keep an eye on the calendar as well as our Facebook page for upcoming events. 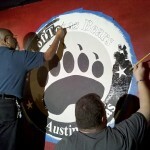 Bears Night Out this month is on Thursday October 20th at Bone Daddy’s. Facebook and the calendar have the directions and address. 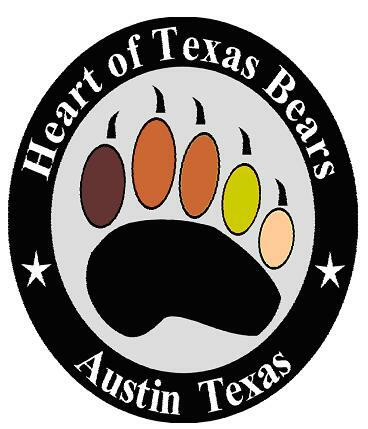 As for an added surprise, Heart Of Texas Bears should have their new shirts by the beginning of next year. In a joint effort with Out Youth of Austin, they will be designing our next shirts as our membership shall choose which one they would like and the chosen design shall receive a small congratulatory reward for their hard work and great job well done. So keep your fuzzy eyes open for the new shirts showing up around or after the New Year. Greetings and Bear Hugs to ya’ll from your grumbling growling President for the next year. First off I would like to apologize to any and all of you who have been waiting on new of events and things from us, your Executive Board. 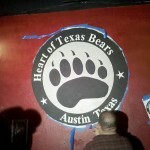 Second I would like to remind and invite anyone that is coming to Austin for Pride in the next weeks to come on down to see us and our brothers in claws from here in Austin as well as Dallas, San Antonio and Houston for “A Weekend of Bear Brotherhood.” Within the Parade we shall be marching with the giant bear flag as well as two “butch” trucks for carrying parade patrons as well as cool refreshments for our volunteers. Leonard and JP have graciously accepted to allow their vehicles to be adorned and used this year in the parade. Give them a nice big clap on the back, or whatever you deem interesting for them, for their open hearts. The parade this year is on Saturday the 10th at10:30am. Registration has been completed with the pride board at this time. Confirmation at the event is set-up at9:30am, which seems to be onRiverside Drive near the Auditorium. From information passed by the VP of the pride board, we can dress comfortable yet tasteful, please. Since it has been a dread summer, shirts can be removed. As long as shorts or lower covering is in place. Next about the weekend. 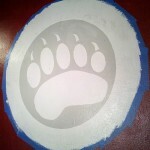 Iron Bear has opened its doors for the Lonestar Bears and us to provide Bear entertainment the weekend long. 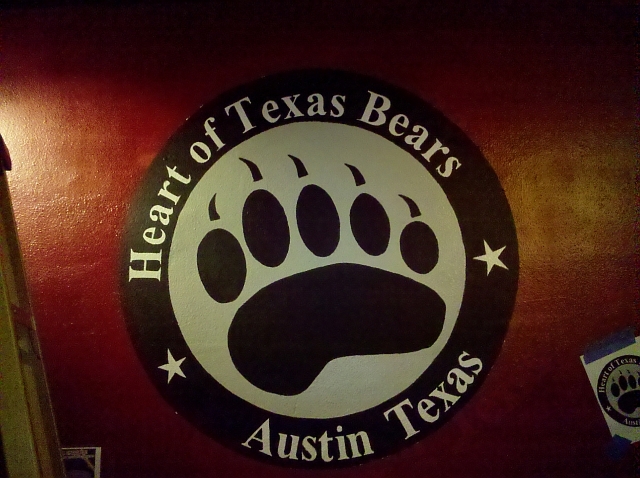 Friday night is a sign-up, meet and greet for an Austin Bear, Cub and Chaser type event. For further information please contact them there. 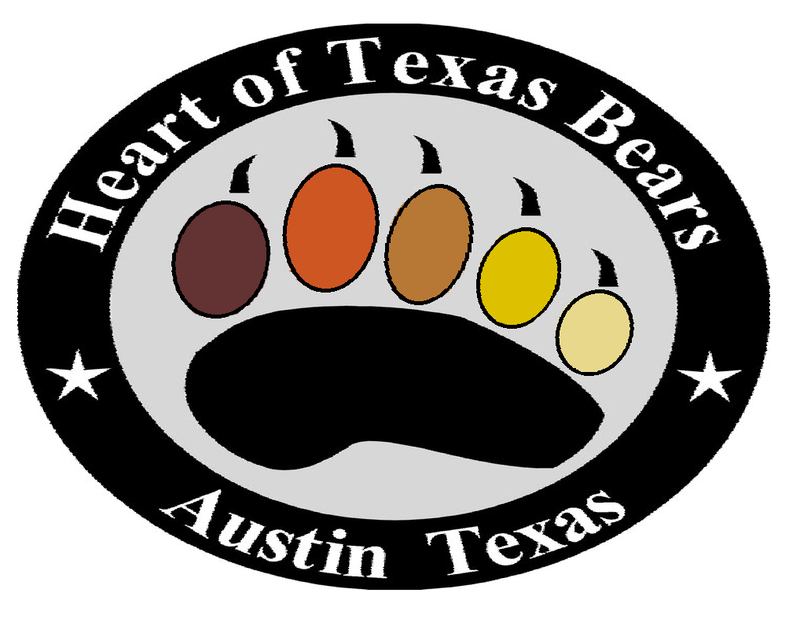 Saturday is the event itself, with the Heart of Texas Bears selling a recipe of shot types on the main floor to help keep the crowd enthused as well as happy, which also shows us Bears can party like no other! Ok, here are some events coming up in September. Our monthly beer bust is held at Chain Drivefrom 4-8pm. Come on down and see what the new management there has been putting together for the community. Next we have the Smother Our Cub’s Breakfast or the Breakfast of Fuzzy’s, on the 3rd at Fran’s. See the Calendar for more info. 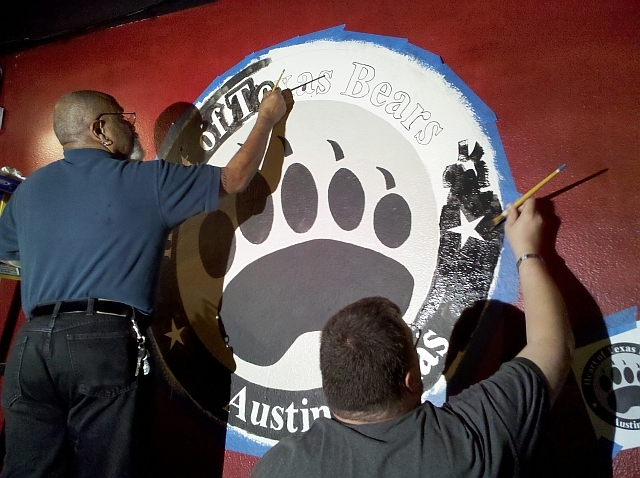 September 21st is the Bears Night Out, which is held at Bamboo Garden, on S.1st and Ben White. Last but surely not least is the Back to the Woods 7 this year in October. Registration has been held at the same price of $85.00 for a limited time, so get that form filled out and see ya there! Our gracious show coordinators, The Rhea’s, have informed Kelly that this year is to be “Once Upon A Time……….” Themed. I thank everyone who has been attending as much as they can with this heat this summer, let’s keep it up! 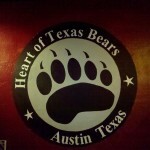 Also, on the 17th the HOT Bears are to begin “Social Draught” at the Iron Bear as well. From 4-9pm the 3rd Saturday of each month. Ben and Roger have informed me that they will be having college ball on the TV’s once it all starts playin. So get on down there and beat the heat with some inexpensive draught and football! As I sit here writing what is my last posting as President of the HOT Bears, I am reflecting on all the fun events and things we did as a group together over the last couple of years. The good times we had at such events as Back To The Woods, UNRUN, the Anniversary parties, the tubing trips, the river parties, the pool parties, the movie nights, the dinners, and all the other events that we enjoyed together and where I have made so many good friends. I am also reflecting on those who have moved on to different cities, states, and countries. I also reflect on those we have lost too early. For me moving here from the deserted flat-lands of west Texas almost 8 years ago to the vibrant, greener, and not-so-flat city of Austin was an adventure to say the least. (Imagine going out and actually having 9-10 different bars to choose from! Where I had moved from we were lucky to have the one bar we had…and we liked it…not knowing what was really out there.) I can remember getting lost everywhere I went…getting frustrated at all the traffic…complaining about how much more stuff cost…and not knowing a soul. But I was happy to be here…and quickly started settling in. It would be several years later that I found out about this group of guys, that welcomed me into their little den and made me feel good about who I was. The guys there made me feel like a part of the group from the first minute I met them….and I have been associated with them ever since. Of course that group was the HOT Bears. 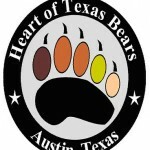 It was my goal as your President over the last 2 years (and 2 years previously as Vice President) that the HOT Bears made all those who were new to the group (and those who were seasoned members) feel welcome and like a part of the family. And now that I am stepping down, I pass this tradition on to the new board who, I already know, will do a fine job I want to thank all of you for your support and kind words during my tenure and would ask that you give the new board the same support and encouragement that y’all have shown me. So I am signing off with a great big THANK YOU!…you guys are the best. The HOT Bears celebrated their 13th anniversary this month at the home of Leonard Schleuter with a BBQ dinner and all the fixins! We had approx 55 in attendance, and everyone was seen having a good time. For those of you who were not able to make it, we hope you will be able to make it to any of the events we have planned throughout the year. Y’all are the reason the club exists, and it is for you we give many thanks! We hope y’all had a GREAT time during this year’s UNRUN 7 Weekend! For those of you who helped us kick things off at Iron Bear and then continue the party with BEARRACUDA at Elysium…THANKS! 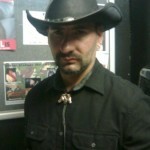 We really appreciate Matt and all the DJ’s for making this a crowning jewel of our yearly event! We also want to thank all of those who came out for the Bear Contest at Chain Drive…and helped us to raise $2000 toward this years charities OUT Youth and The People’s Clinic…. 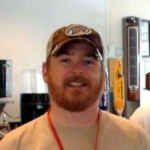 (and a special THANKS goes out to Mutt who graciously donated the $300 grand prize back to the charities! THANK YOU! We really do have some really great members and I want to take this opportunity to THANK all of those who helped plan, set-up, decorate, help the contestants, and volunteering behind the stage. You guys ROCK!!! and are much appreciated by this cub. Our next upcoming event will be, for those of you who don’t know or are new to the club, Back To The Woods 7 (B2W7). It will be held at the TCC campgrounds October 7-9th. Planning is under way and more details will be sent out in future emailings and Bear Briefs….so be sure to make plans to attend! If you’ve never been…its a whole lot of fun for very little money (compared to other bear events). Ask those who have been before…or ask any of the officers for more information! We hop to see you there! 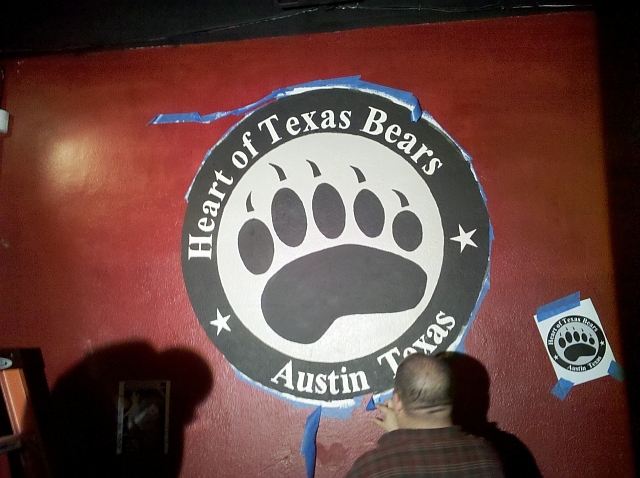 The HOT Bears would like to thank Roger and Bengie of the Iron Bear for allowing us the opportunity to paint our logo on their wall! 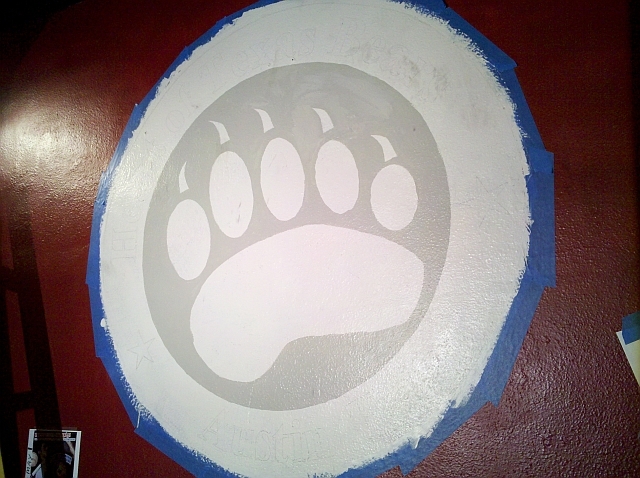 Several members of the HOT Bears spend a couple of nights laying out, and painting the logo on the wall. It was a lot of fun and a great event to come together and celebrate being a HOT Bear! If you get the chance, go by and see it in person and say THANKS to Roger and Bengie for allowing us this opportunity.